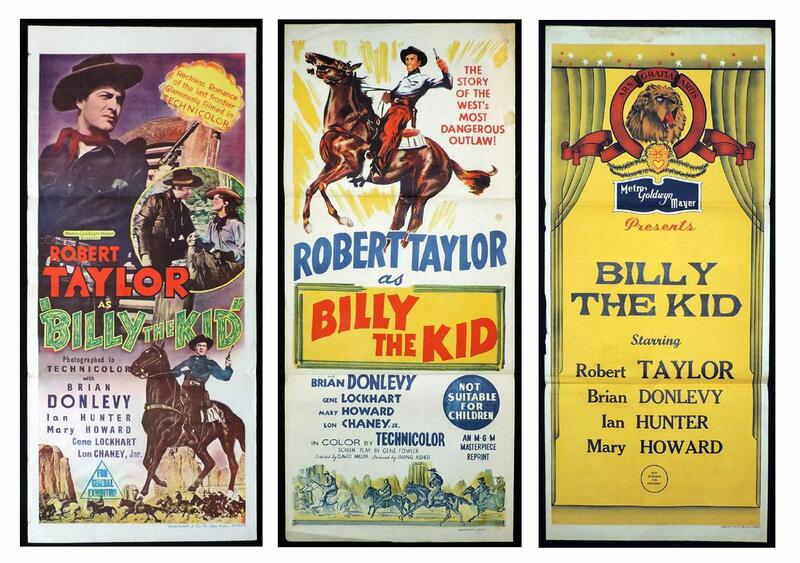 News | Moviemem Original Movie Posters - BILLY THE KID Daybill Movie poster - Original or Reissue? Not too difficult to work out the original from the re releases for Billy the Kid - particularly when you see them all together! The original on the left was printed by The Marchant Company. Second from the left is the 50s reissue with the "MGM Masterpiece Reprint" notation. Third from the left is the stock MGM daybill with the title added. In 1880 New Mexico, during a feud between cattle growers, former childhood friends Billy the Kid and Jim Sherwood end-up working for opposite sides.